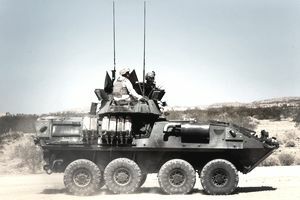 The LAV repairer/technician, under supervision, performs basic automotive duties and tasks incident to inspection, maintenance, and repair of the LAV family of vehicles. The LAV repairer/technician also completes basic shop administrative forms and records utilizing technical manuals. At the grades of sergeant and above, the LAV systems technician trains, supervises, and performs various duties and tasks incident to the inspection, maintenance, and repair of automotive and turret systems of the LAV family of vehicles. The LAV systems technician also prepares, maintains and supervises a shop maintenance and management program, and coordinates maintenance and recovery operations according to grade. (2) Complete the Light Armored Vehicle Repairman Course. (3) Qualified class III swimmer. (4) Complete the LAV Intermediate Repair Course at a grade of sergeant and have 24 months or more remaining on active duty upon completion of the course. (5) Marines completing "B" billets (i.e., drill instructor, recruiting duty, etc.) should re-attend the intermediate course prior to MARFOR assignment. Duties: For a complete listing of duties and tasks, refer to MCO 1510.57, Individual Training Standards. (1) Engineer Equipment Mechanic, 1341. (2) Intermediate Automotive Mechanic, 3522.